Robotics researcher Javier Alonso-Mora from Delft University of Technology has been awarded a 250,000 euros Veni grant by the Netherlands Organisation for Scientific Research (NWO). The grant allows Alonso-Mora to work on safe and socially intuitive navigation for mobile robots such as intelligent cars and boats. "Robots that are deployed in city environments have to be able to coordinate their routes in a safe and intuitive way"
The Amsterdam Institute for Advanced Metropolitan Solutions (AMS) is a partner in this project. 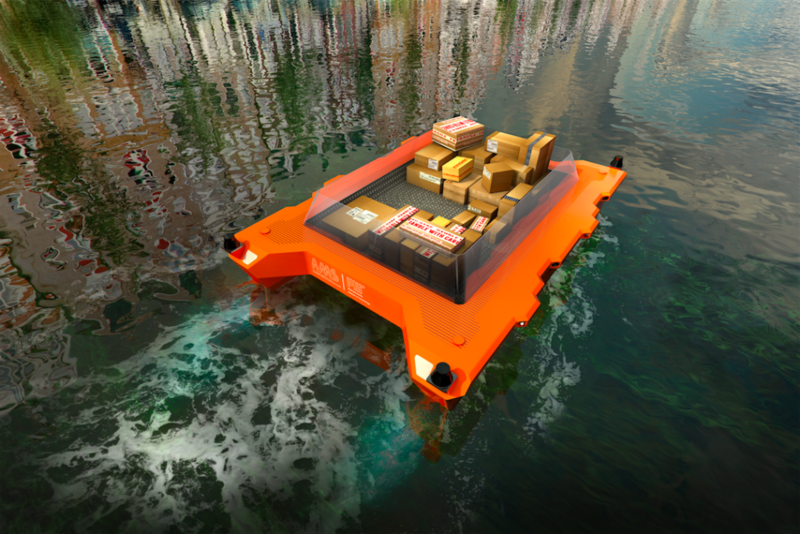 “Autonomous navigation is one of the most promising developments in transportation and can contribute significantly to more sustainable urban mobility”, says AMS Scientific Director Arjan van Timmeren. “Javier’s research strongly complements the ongoing research activities within our Roboat project and we’re very much looking forward to collaborate with him”. The Veni grant provides highly promising young scientists with the opportunity to further elaborate their own ideas during a period of three years. Alonso-Mora works as an assistant professor at the Faculty Mechanical, Maritime and Materials Engineering. His main research interest is in navigation, motion planning and control of autonomous mobile robots. Click here to read the NWO press release.